Our best advice? Get your application in as soon as possible. When is the best time of year to find a teaching job? While it’s possible to get a teaching position any time of year, as a general rule most schools do the bulk of their hiring at the end of one school year to prepare for the next. The good news is most districts have made the process infinitely more transparent by automating the process. However, some of these systems are fairly complicated. Filling out the application and uploading all the necessary documents may take a lot longer than you think. Generally, once you’ve completed the online application process, you can easily apply to jobs as soon as they are posted. You can literally check every day to see if new openings have popped up. Here is a month-by-month look at the best time to find a teaching job. Late December or early January can sometimes be a good time to find a teaching job. Some teachers make the hard decision to leave the field over break, and some districts allow teachers to retire midyear. In addition, administrators will start looking into staffing needs for the next school year anywhere from January to the end of May, when teachers must let their building administrators know what their intention is for the following school year. Job openings may be posted as early as late February for teaching positions for the following school year. Typically though, most openings will be made public in March and April. The best time to find a teaching job is definitely in the spring. Interviews for the following school year usually begin in earnest after spring break. Standardized testing has usually concluded, and teachers and administrators have had a break and are ready to start looking ahead to the next year. 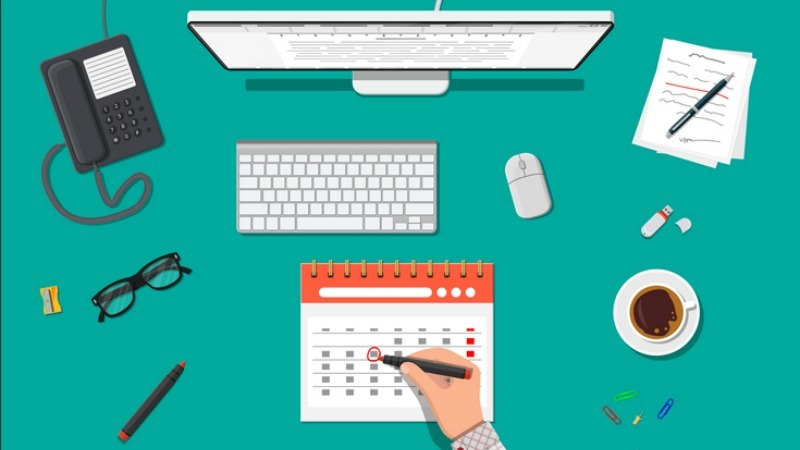 The exact timing of district interviews may depend on your district’s school schedule. For example, if a school district finishes up around Memorial Day, principals will want to get the bulk of the hiring done by mid-June while there are still teachers available to be on hiring committees. If school doesn’t get out until late June, interviews may go into early July. Another thing to take into consideration is the possibility that teachers currently on the job may not have their contracts renewed at the end of the school year, creating an opening for another candidate. Teachers who are non-renewed are usually notified about a month before the school year is over. After the initial flurry of interviews and hiring, there is typically a lull in the action, as administrators usually have about a month of summer vacation. Most administrators work a couple of weeks longer than the teachers and return to school about two weeks before them. Once administrators return from their summer break, another round of interviews begins for any openings that have not been filled. Don’t give up hope if you interviewed for a job in the spring and didn’t hear back. Oftentimes administrators keep candidates that make a good impression in mind for future positions. The final two weeks before school starts is a hot time for getting a last-minute teaching job. Final enrollment numbers and finalized budgets come in, and there is often a scramble to round out a staff. Tons of teachers have been hired in the week or two right before school starts, right up to the day before students arrive. In fact, many teachers report they got jobs days, or even weeks, after school began. Official student headcount occurs for most school districts in October. This is the window of time that schools report official attendance numbers. When numbers have increased significantly since the beginning of the school year, whether there has been an influx of people moving into the area or students have transferred from other schools, new positions will open up. Again, having your application ready to go and keeping your eye on the district’s website will help you get a jump on the competition. Pickings are pretty slim in the holiday months. Teachers who are considering leaving are usually committed to at least finishing out the semester. Same thing with teachers retiring midyear. However, as we said before, there are always random openings resulting from unforeseen circumstances. Be on the lookout for long-term subs any time throughout the year. It’s a great way to get your foot in the door and be considered for a full-time opening the next year. Another route to getting your foot in the door is to apply for paraprofessional positions. Openings often come up year round. It all depends on whether funds are available. Sometimes schools have leftover money in their budget, grants come in, or PTAs/PTOs allocate money to hire extra classroom help. Although most districts post jobs through their websites, it’s never a bad idea to make a personal connection with the people who do the hiring. Keep your eyes open for job fairs, especially in early spring. They are a great way to network and make valuable contacts. What is your experience with hiring in your school district? 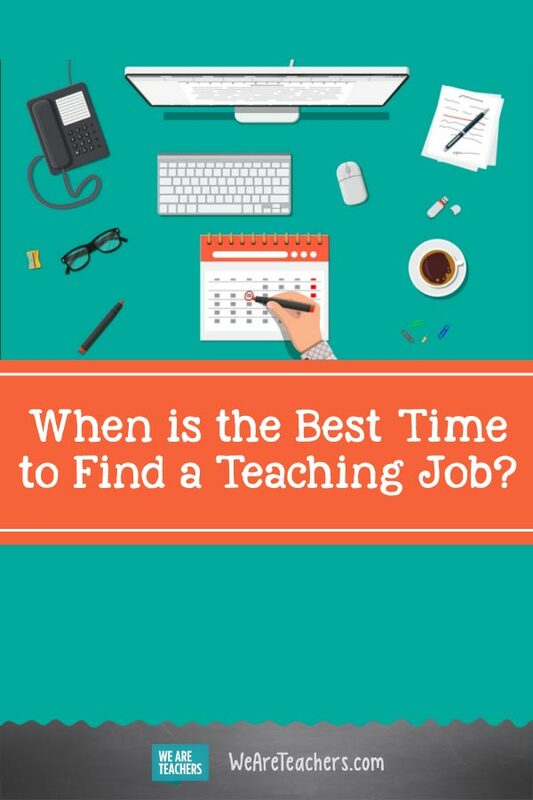 Is there a best time to find a teaching position? Come share on our WeAreTeachers HELPLINE group on Facebook. Also, check our resume tips for teachers and teacher cover letter examples.